• Used For Hoof Protection. • This Durable, Heavy-Duty Bell Will Provide A Secure Fit. • Hook and Latch Provides Comfort Fit. • Rubber Boot Bell With Hook and Latch. 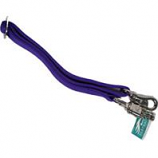 • This Is A Durable Heavy-Duty Boot Bell That Locks Together With Velcro Providing A Safe Fit. 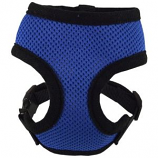 • Designed To Prevent Rubbing Of The Fetlock Area. 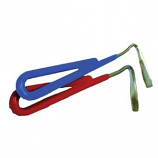 • Hook and Latch Provides Comfort Fit.. Handy inexpensive must-have tool to promote healthy feet. Steel with vinyl covered handle. . . .
Polished solid brass with engraved trim. 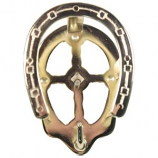 Screws not included. . . .
Pvc coated bridle bracket for hanging assorted tack items. Fastens to wall. . . .
Adjustable to 46 inch with panic snap and bolt snap. . . . .